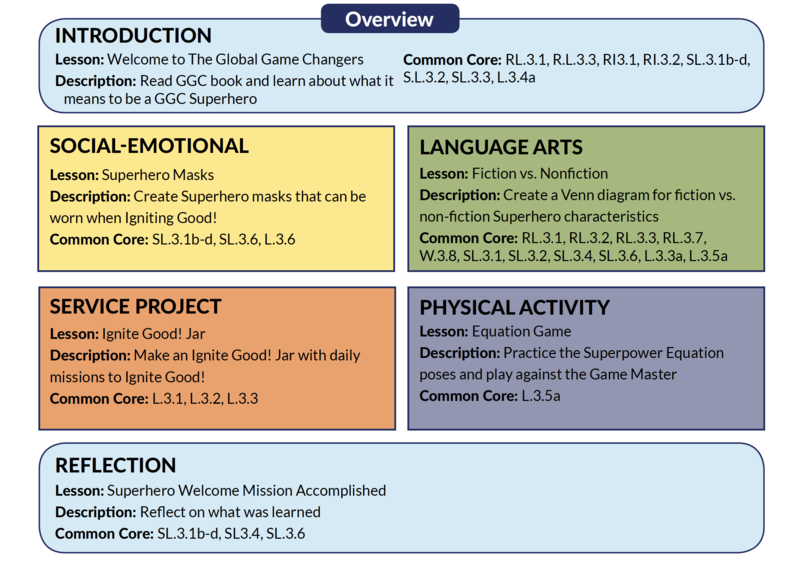 Global Game Changers curriculum is grant funded and FREE to educators. 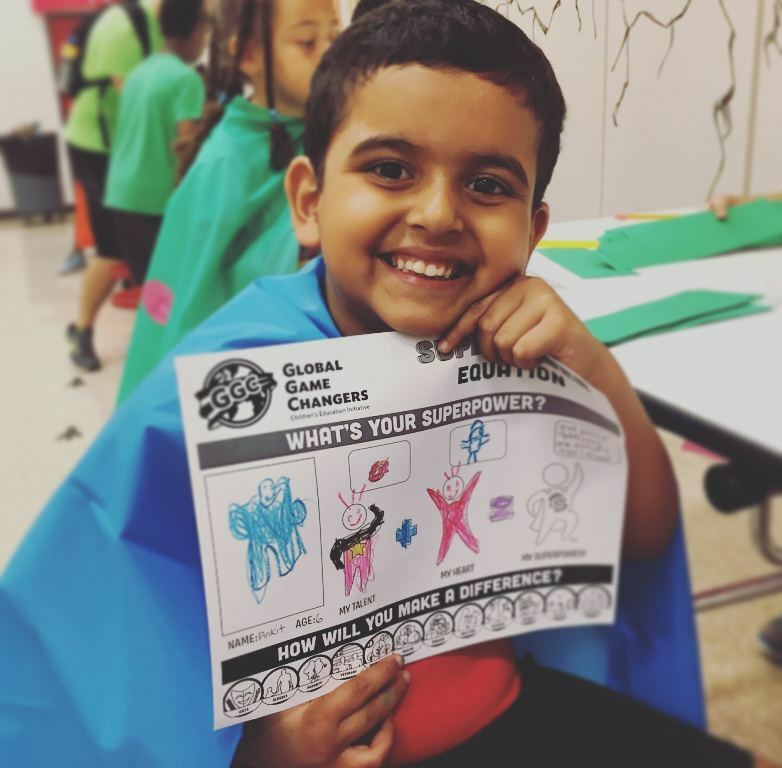 We offer a flexible project-based service learning curriculum that promotes a positive culture.GGC lessons allow students to explore different charitable causes, develop their talents, learn from other children’s examples, and ultimately create their own individual service project, using their talents to serve causes they care about. 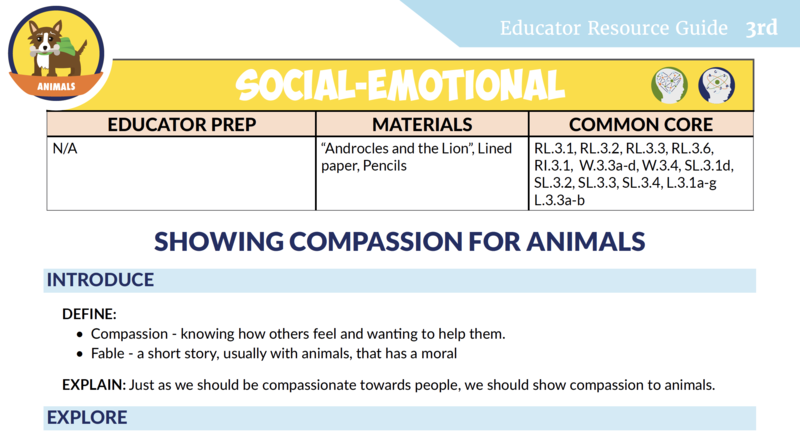 Lesson plans and materials promote in-depth explorations into compassion and social-emotional learning, as well as self-compassion, mindfulness and nutrition. Students learn to overcome apathy and feel empathy, as they explore our 12 Heart Badges. While having fun they learn to know that they have value, that they are important and that they can make a difference too. 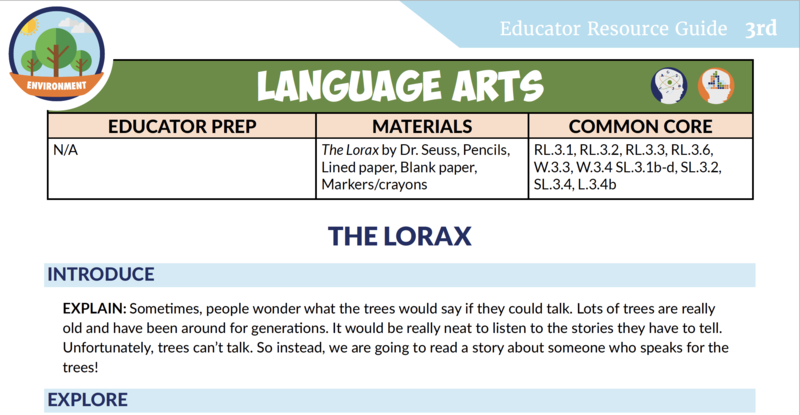 Each CCSS compliant grade level appropriate curriculum builds on the GGC lessons of compassion, service, empathy and kindness from year to year, but is effective as a single grade level implementation as well. 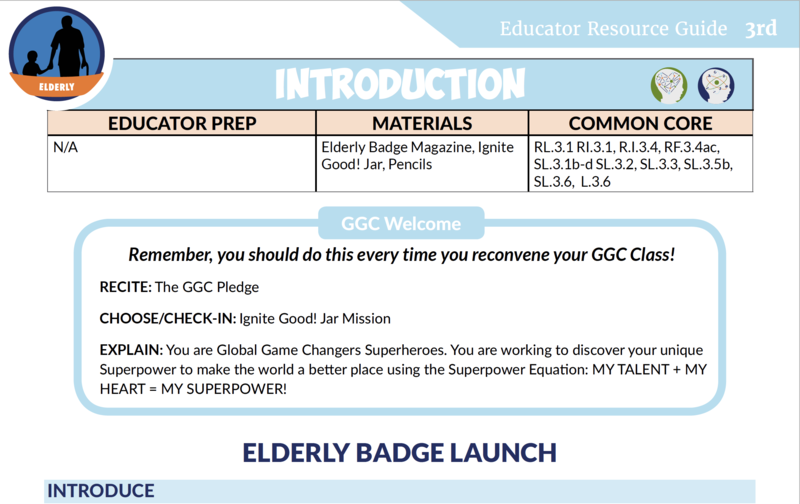 Introduction to the program, the Superpower Equation, and Ignite Good! 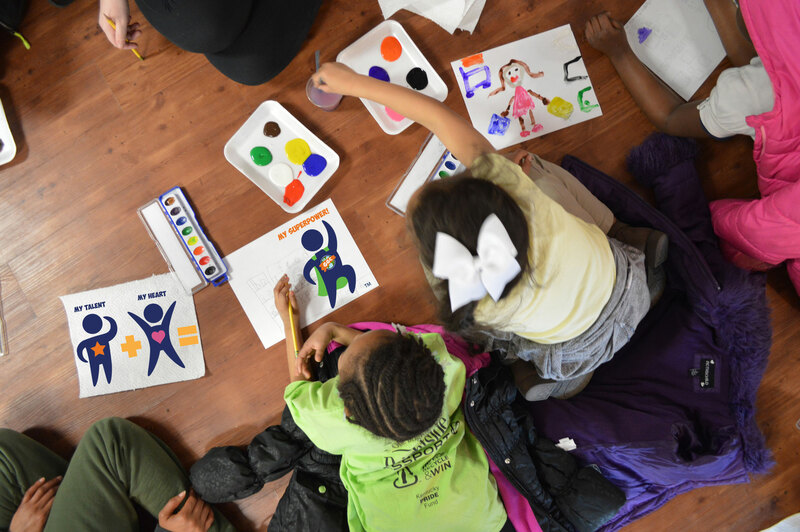 Students focus on our motto – IGNITE GOOD!® – throughout the program, they learn about real life children making a difference. 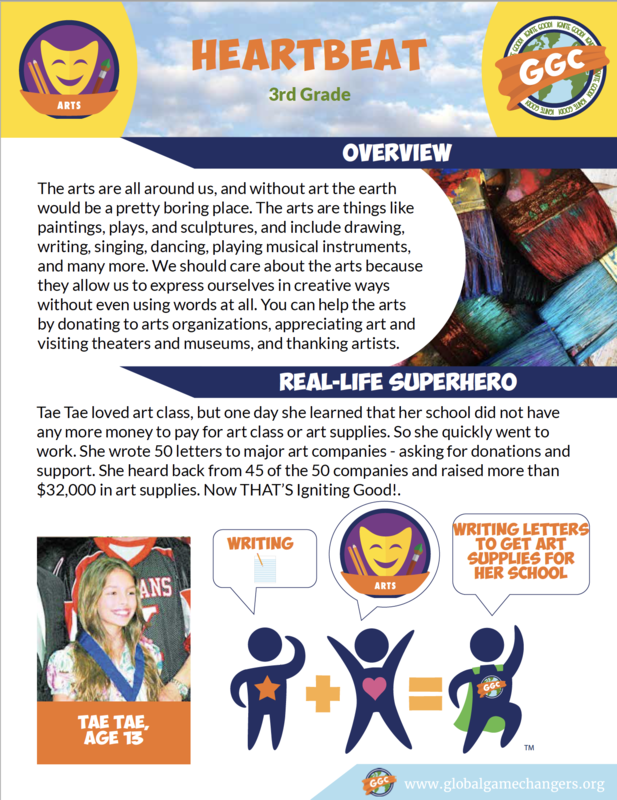 To introduce the curriculum, we use a book, The Global Game Changers, about a fictional alliance of superheroes; Global Girl, Little Big-Heart, and their dog Pixel, who search the world looking for real-life kids who IGNITE GOOD!® to join their alliance to fight KRUMI, represented by a dark cloud of apathy. The book tells the story of three real-life recruits who have learned to fight apathy – compassion’s archenemy, with their heads, their hearts, and their hands and to do good in the world.